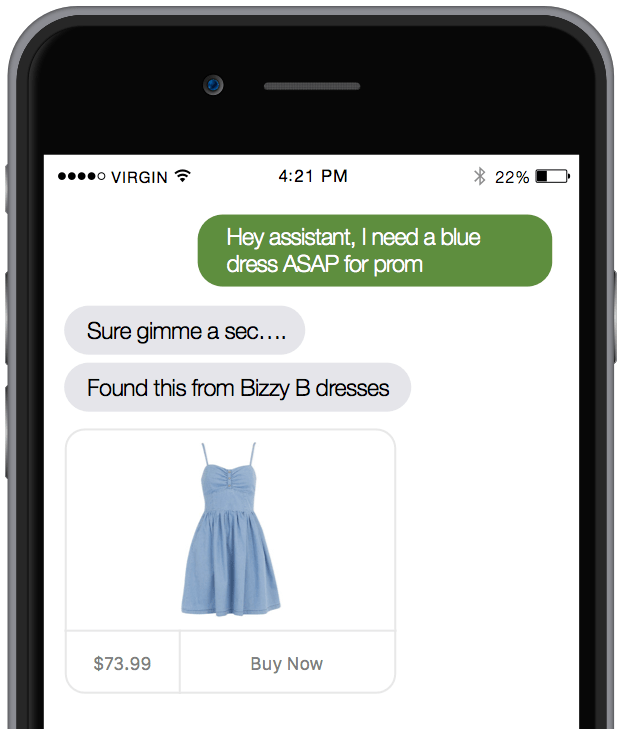 2016 was the year of conversational commerce. Despite the hype, it has continued on its way to becoming the next frontier for messaging platforms. 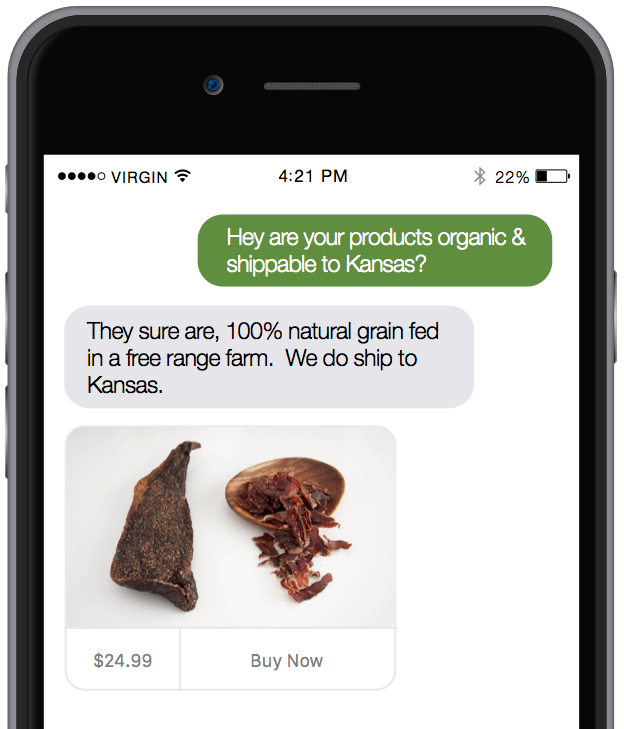 As a product manager at Shopify, helping entrepreneurs sell wherever their customers are around the world, conversational messaging has become the most important platform for commerce. To understand why, let’s take a step back. Conversational commerce describes the integration of online shopping and customer chat interfaces. It is often used in an ecommerce context to describe ways that messaging is used to facilitate transactions, often through Facebook Messenger or live chat software. Why conversational commerce has taken off? Commerce is a deeply human behaviour we’ve been engaged in since the dawn of civilization. But despite the passage of millennia things largely stayed the same: people walked into stores, looked around, talked to a shop assistant and then bought products. Thanks to the internet, we go into stores less and less. We’ve saved time and benefited from cheaper prices, but lost the intimacy of interacting with a shopkeeper who really knew their products. The best shopkeepers could understand our problems, and help us find the right products to solve them. As good as we’ve gotten at designing online shopping businesses, the user experience still resembles a digitization of the Sears catalogue. Messaging lets us rekindle the conversations we used to have with businesses and recapture that lost intimacy. Now, any tool that operates at the intersection of transactions and messaging can be considered a conversational commerce platform. Messaging has unique user interface properties that make it particularly compelling for commerce. No learning curve: Messaging is the most approachable user interface in history. Its growth is only bound by the literacy rates of users. Naturally mobile, future resilient: It’s highly conducive to mobile – you can consume and generate content quickly. And the mechanics of messaging products like bots easily translates to future interfaces like voice and VR. Infinitely scalable interface: Adding new features to a messaging product is a matter of supporting more complex conversations. Today, asking a bot “What’s the weather?” could get you “28 degrees”. Tomorrow it could get you “28 degrees, time to get back that winter coat you lent your brother”. Superior multi-device flow: In messaging, a thread is a thread. Hopping between desktop, phone, watch, and tablet is natural – perfectly suited to the multi-device flow of commerce today. This is the most obvious example – the conversation between consumers and businesses both pre-sale and post-sale. Pre-sale: Businesses are answering questions about their products and understanding as much as they can about the customer to give good product recommendations. These are valuable interactions for new businesses, and will be focused on making each customer interaction count. Post-sale: Businesses are providing customer support – shipping updates, solving product issues, etc. Larger merchants will likely need bots in order to scale; the expectation of quick responses is much higher with messaging than it is withother non-verbal communication forms. At Shopify we’re supporting pre and post-sale interactions like this. For pre-sale, we’ve partnered with Intercom to enable any business to embed messaging in their websites or apps, while for post-sale, we’ve launched a sales channel within Facebook Messenger to send order status updates natively in Messenger. The second conversation that will emerge is the ability for a business owner to message their back-end commerce system, and operate their entire business through conversation. “What are my sales for the last 23 days?”, or “What orders do I need to fulfill today?”. As they evolve, back-office messaging products will be an entrepreneur’s marketing, finance, and operations analyst rolled up into one. They enable a single person to manage their entire business from a single interface. Shopping bots and assistants like Operator, Mezi, and Magic have become increasingly popular, letting you find products you need through conversational interactions. Shopify user? 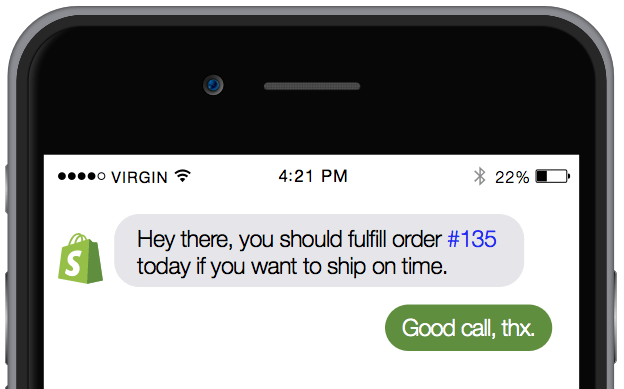 Chat with visitors to your store in real-time with Intercom’s Shopify integration. It’s understandable why startups are going after this space: marketplaces are where commerce is growing the fastest, and there is something delightful about being able to text something like, “I need a gift for my 42 year old dad under $200, he loves fishing, poker, and Call of Duty”, and receiving a recommended product in response. It lets us articulate our shopping needs in the most primitive, problem-based way that we used in the physical shopping era. Servicing complex shopping cases like this is vital to ensuring these assistants actually convert. Conversational commerce that has already been proven in other markets. WeChat has been facilitating these types of interactions for years. The bots are here to stay: Facebook launched a bot store and then iterated on it – with many touting bots as the new runtime. Because bots follow a server-side development paradigm, many think this space will explode with experimentation akin to the web of the late 90s. Platform wars: WeChat is ahead, but Messenger, Telegram, WhatsApp, Snapchat etc. will all continue fighting for share in their markets. Expect lots of new APIs opening up from all these companies. The dark horse of voice: We shouldn’t limit our thinking to only text-based interactions. As mentioned before, messaging paradigms are highly transferable to other interfaces, and voice in particular is one that is already gaining a lot of traction through products like Amazon Echo. Expect Google and Apple to compete by opening up Google Now and Siri as platforms. Conversational commerce might sound buzz-wordy right now, but whenever there’s smart people and companies investing heavily into something in a short period of time, it’s a signal worth paying attention to.